“Well there it is. It won’t work, but you must bloody well make it,” said the chief of Britain’s military leaders, when he gave orders to begin planning for what became known as Operation Overlord. While many view D-Day as one of the most successful operations of World War II, most aren’t aware of the intensive year of planning and political tension between the Allies that preceded the amphibious military landing on June 6, 1944. This intriguing history reveals how President Franklin D. Roosevelt, while on a fishing trip in the middle of World War II, altered his attitude toward Winston Churchill and became an advocate for Operation Overlord. Philip Padgett challenges the known narrative of this watershed moment in history and illuminates the diplomatic link between Normandy and the atomic bomb. He shows how the Allies came to agree on a liberation strategy that began with D-Day—and the difficult forging of British and American scientific cooperation that produced the atomic bomb. At its core this story is about how a new generation of leaders found the courage to step beyond national biases in a truly allied endeavor to carry out one of history’s most successful military operations. Philip Padgett spent forty years working in national security and preparedness analysis in the military, government, and the private sector. As deputy intelligence adviser at the U.S. Arms Control and Disarmament Agency, he supported negotiations for five international treaties and agreements. On contract, he has led integrated analyses for studies of the East-West military balance, nuclear doctrine and deterrence, NATO command and control, and arms control compliance monitoring. In his retirement Padgett joined the Federal Emergency Management Agency’s Reserve Corps and assisted in national emergencies such as Superstorm Sandy. 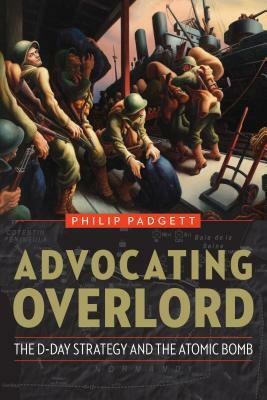 For more information about Advocating Overlord, visit philpadgett.com/.